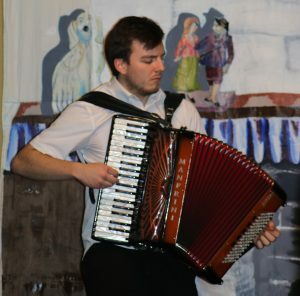 The annual Oie’ll Verree, which can still be found in a number of rural settings, takes the form of a concert and remains at the forefront of Manx life as a community event, but the occasion at Kirk Michael was tinged with sadness after the news of the sudden d eath of Roy Kennaugh, who was one of its most dedicated proponents and organisers. Held as usual at the Ebenezer Hall in Michael village, the venue was packed with an expectant crowd, looking forward to a good evening of entertainment, but before proceedings got underway tributes to the late Roy Kennaugh were given by John ‘Dog’ Callister and a member of Michael Heritage Trust. Local singer Dilys Sowery provided a gentle start to the evening, in partnership on this occasion with accordionist John Kaighin. This was followed by Deborah Taubman and Mary Faragher with recitations of historical Manx poetry, including that of the legendary T. E. Brown, and a little magic from Giles Beaumont. 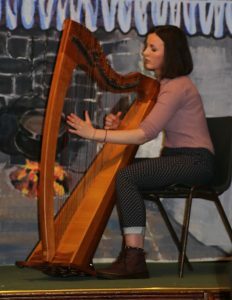 The first half concluded with some superb music from harpist Mera Royle and a selection of traditional dances from northern based dance group Ny Fennee. 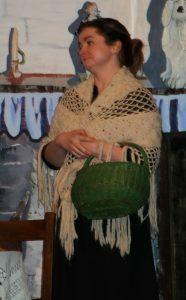 A short interval, which included the presentation of the award Yn Gliggyr to a resident for their work in the parish, was then followed by the main event, which was t he eagerly awaited dialect play, presented by The Michael Players RBV and produced by the late Roy Kennaugh. 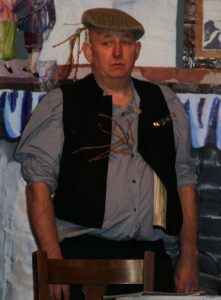 This year’s play was The L’il Smook by the prolific J. J. Kneen, a comedy based on the exploits of Mrs Qualtrough’s endeavours to stop her husband from smoking and was the prize winner of the 1913 Yn Çheshaght Ghailckagh play competition. Recognised as the greatest Manx linguist of his generation and one of the most important scholars of Manx subjects, J. J. Kneen was awarded a Knighthood from the King of Norway. Proceedings closed with the singing of Arrane Oie Vie (goodnight song) and a hearty home-made supper.